Summer is here and that means it’s time to serviceyour food equipment! 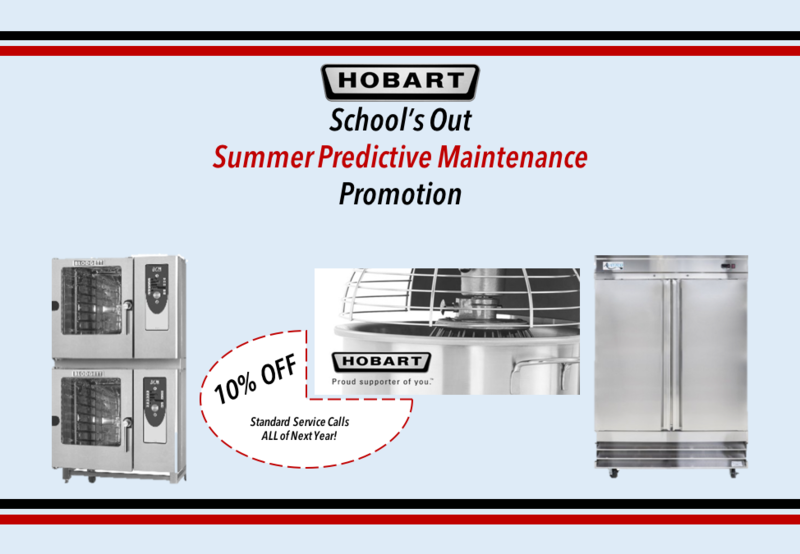 Stay up and running next school year with our Predictive Maintenance Promotion! Callus or book onlineto have THREE pieces of equipment serviced then receive 10% off of your service calls for the entireschool year!